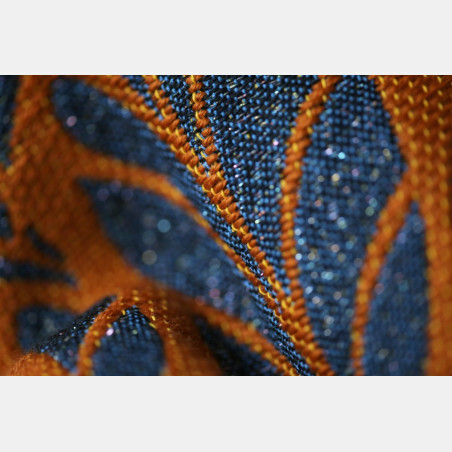 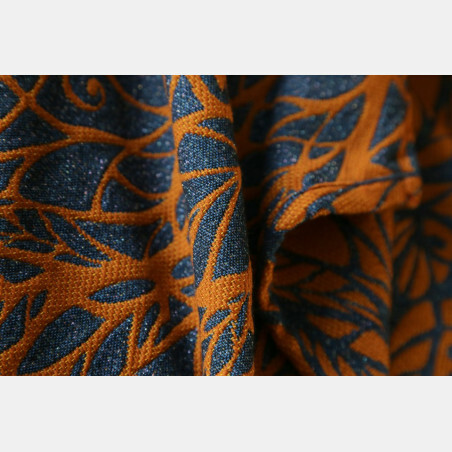 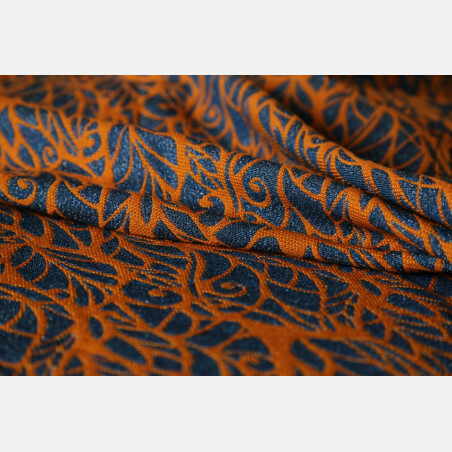 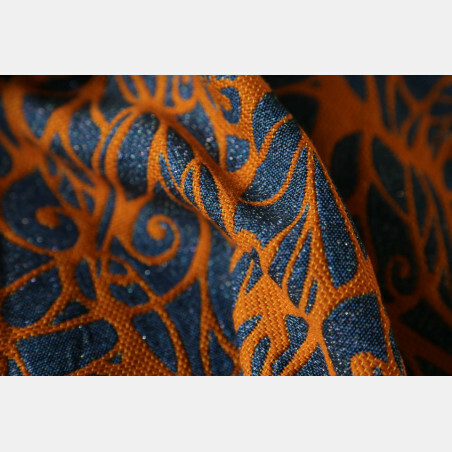 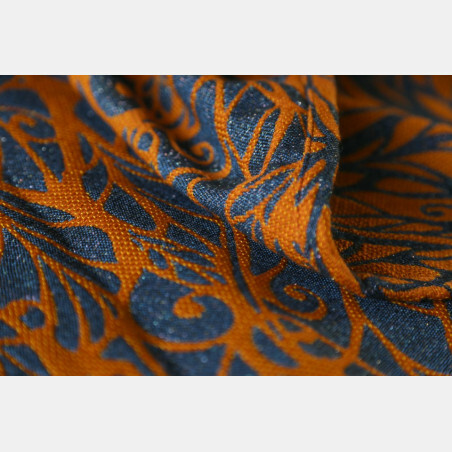 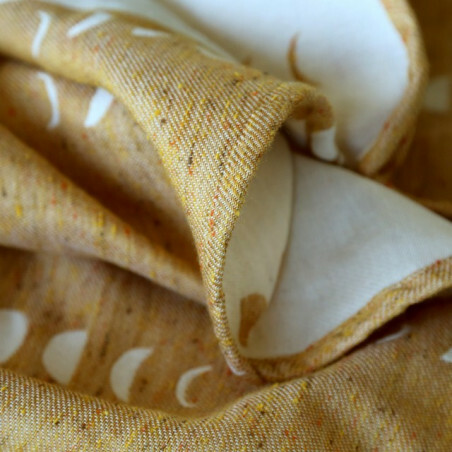 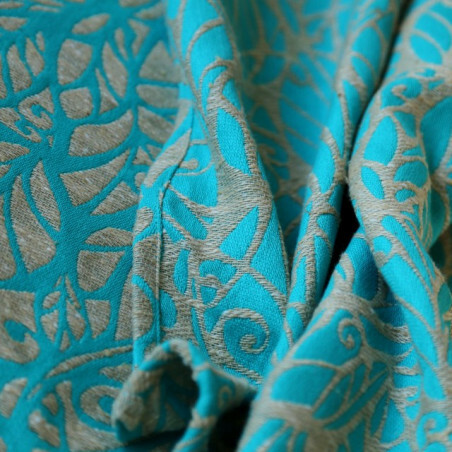 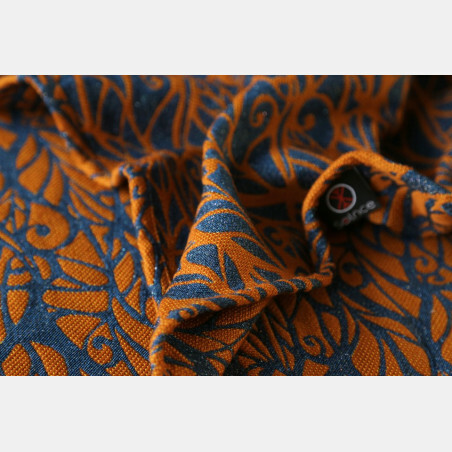 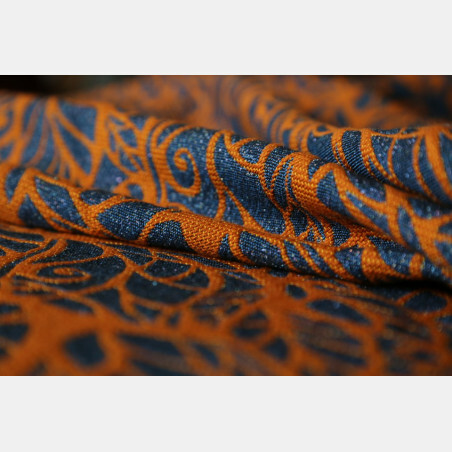 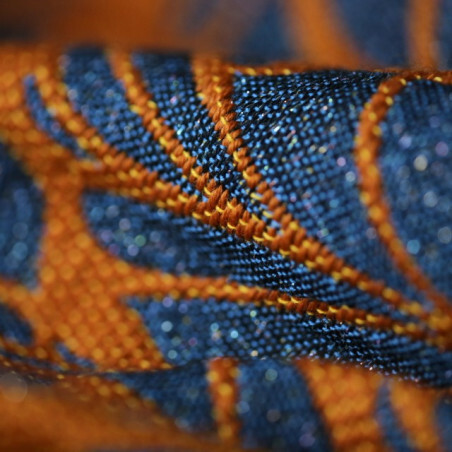 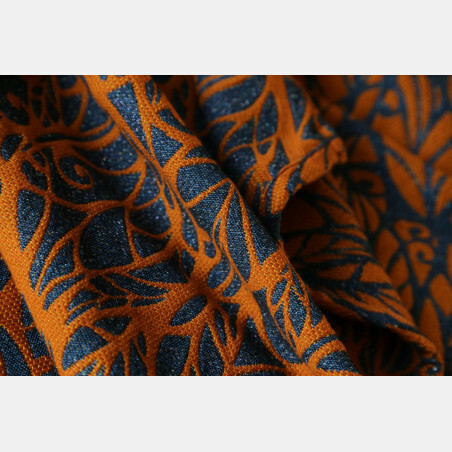 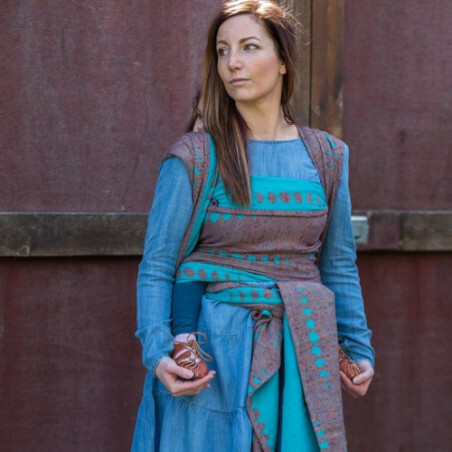 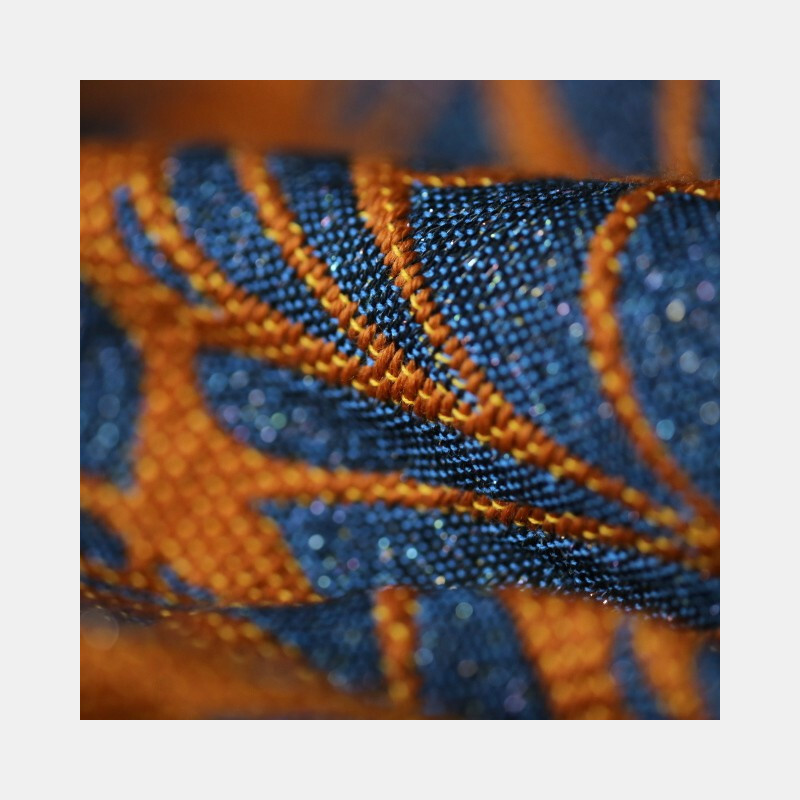 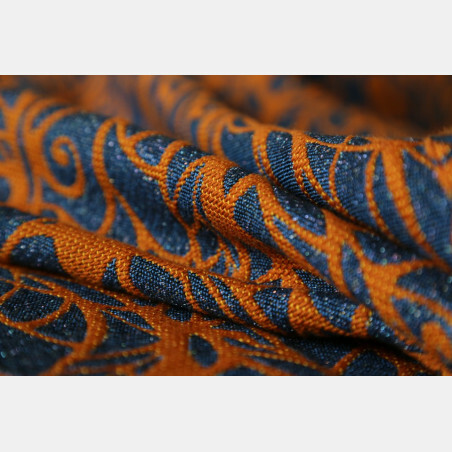 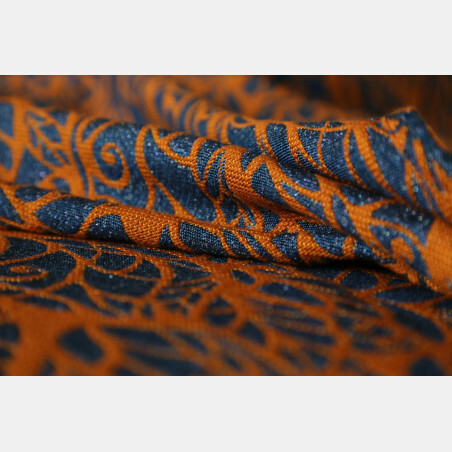 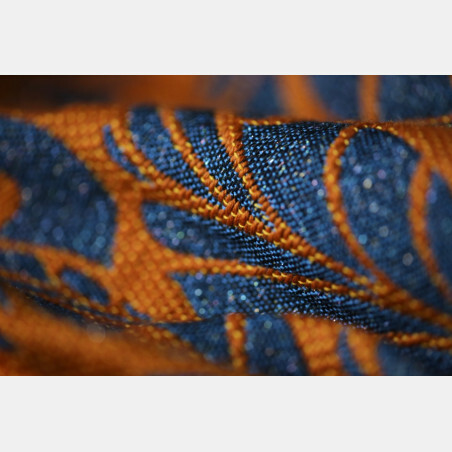 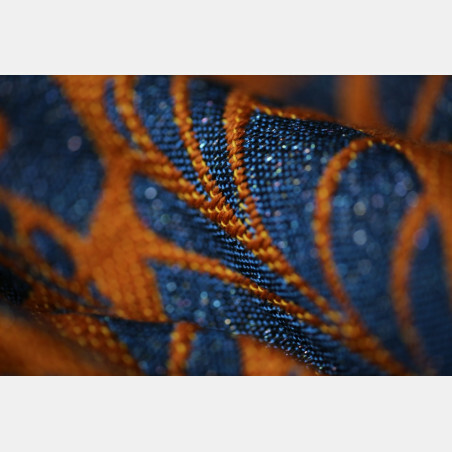 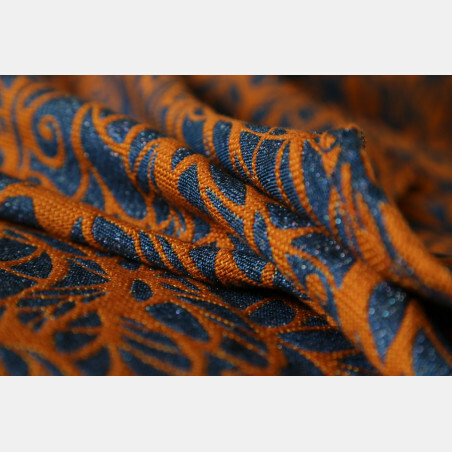 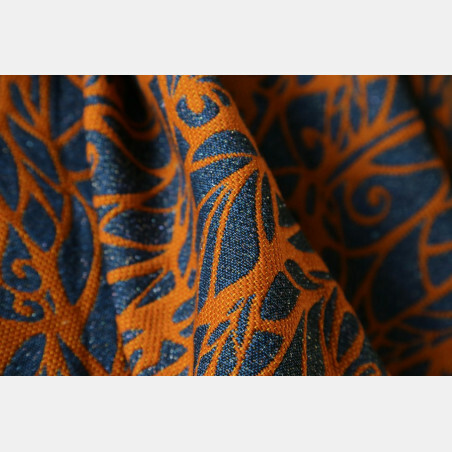 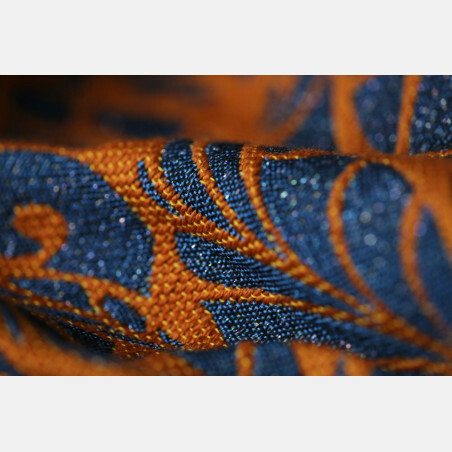 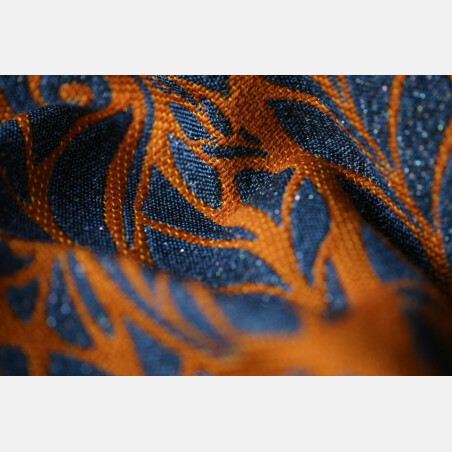 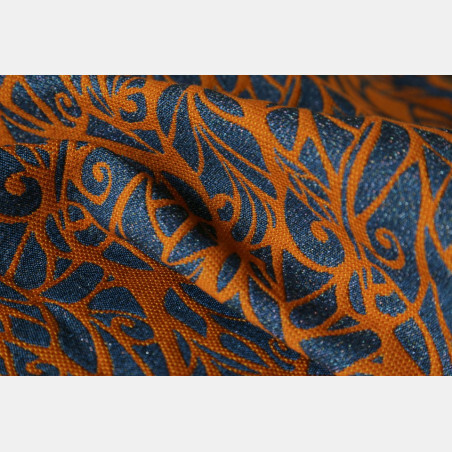 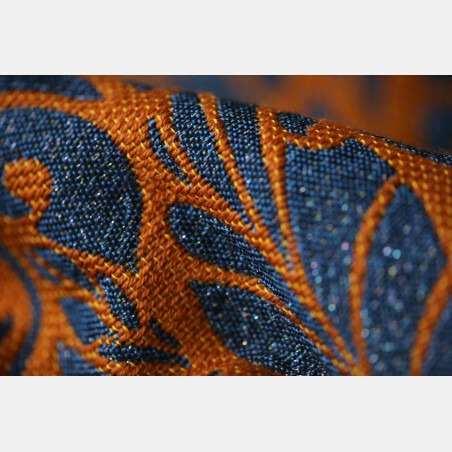 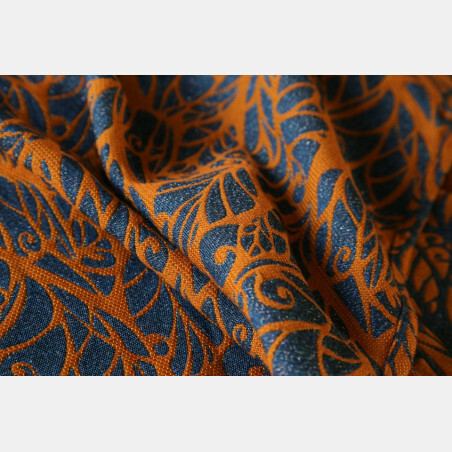 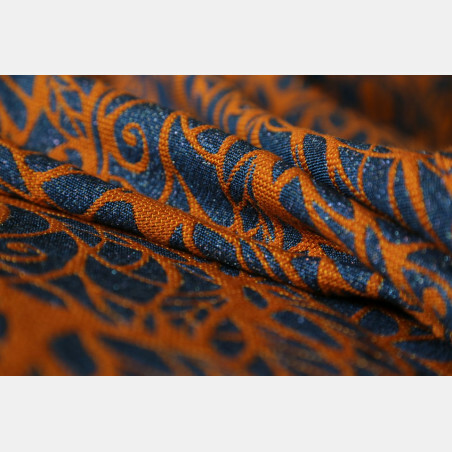 Eco organic superwash merino wool in the color of ochre is combined with glittery night blue. 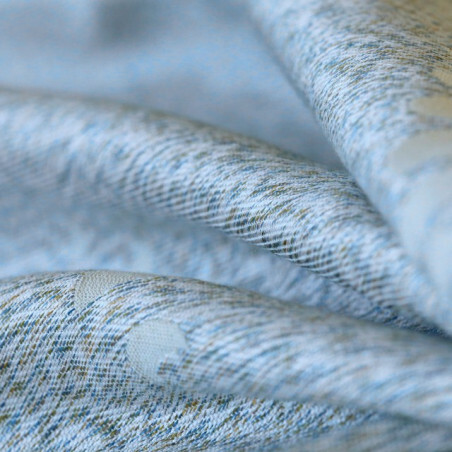 Our superwash merino wool is not only certified organic but is treated with the game-changing, revolutionary plasma process. 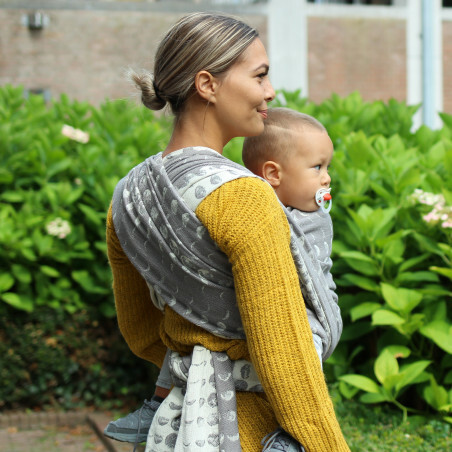 This is an innovative ecological process involving only air and electricity to reach the superwash easy care qualities of the merino wool. 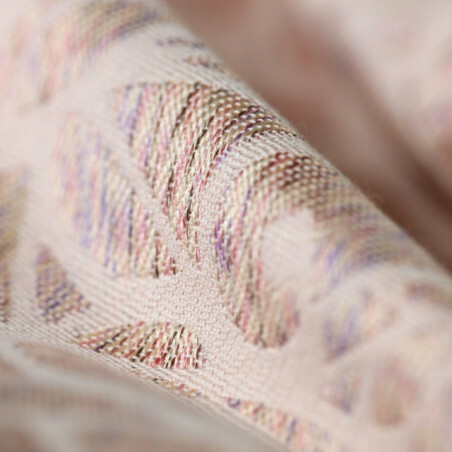 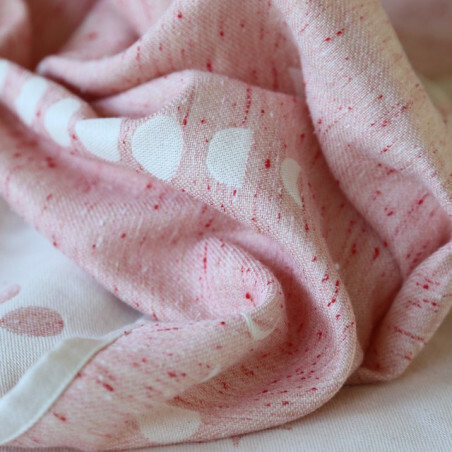 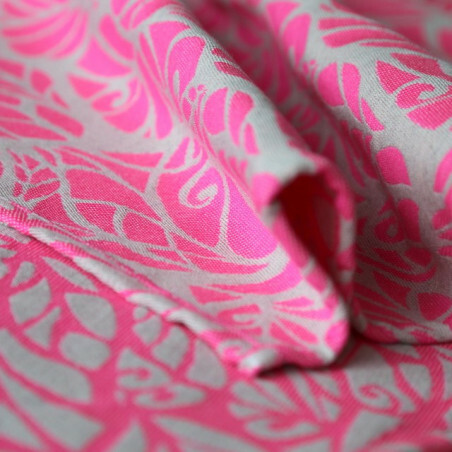 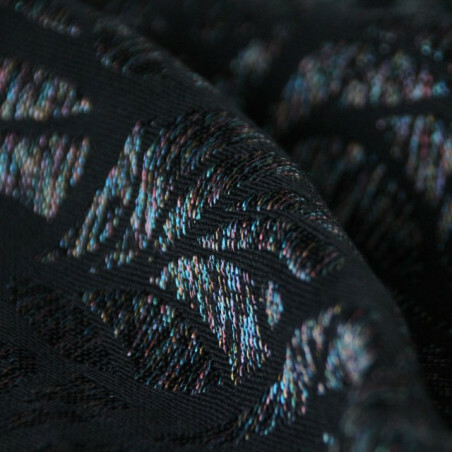 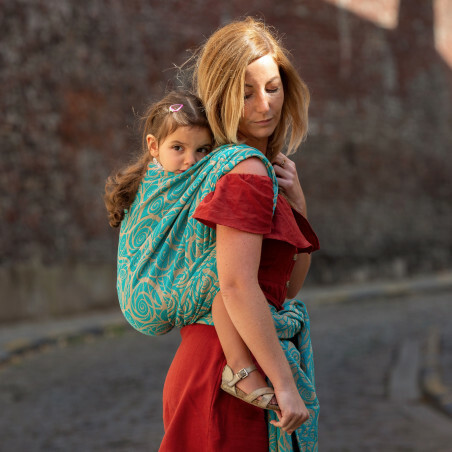 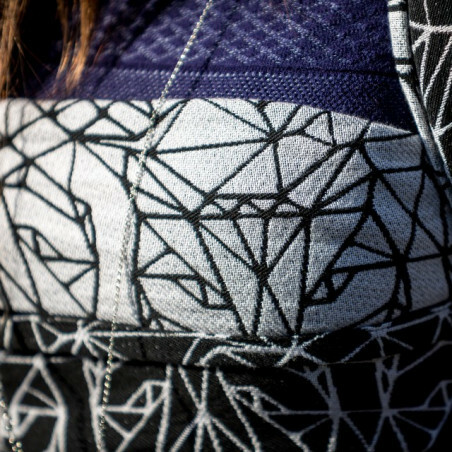 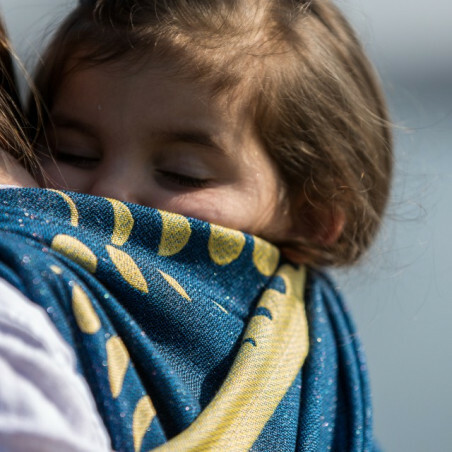 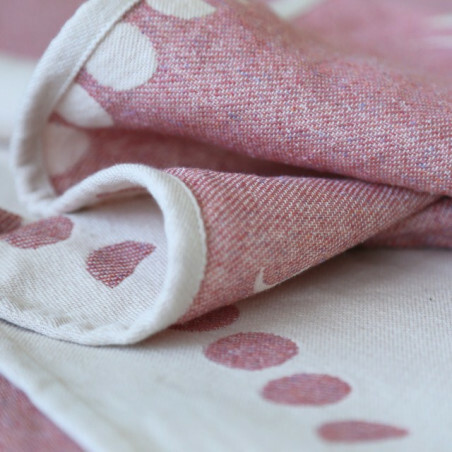 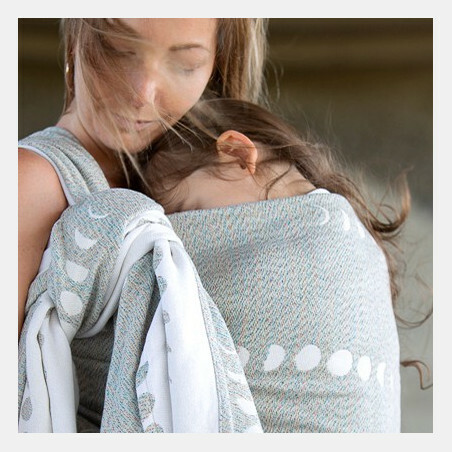 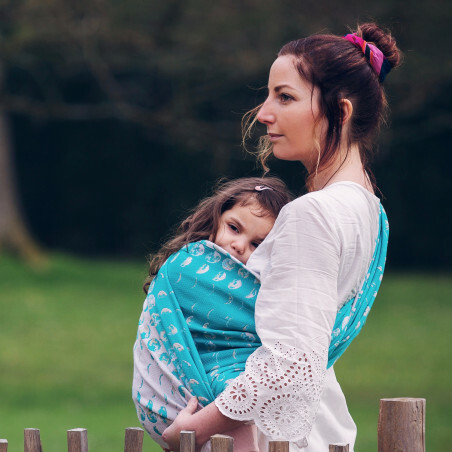 Woven in our signature blackberry weave, Genesis Philter of Mirrors is a heavy but soft and supportive wrap, suitable for older babies and toddlers. 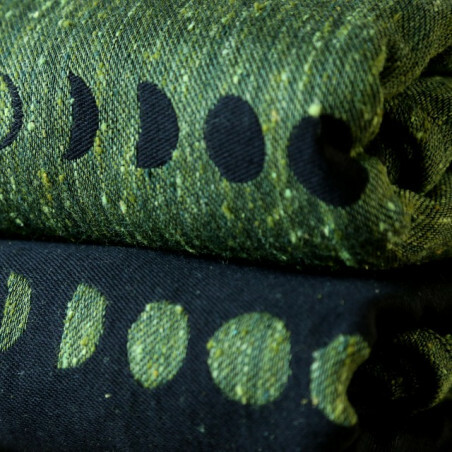 The newest eco technology for wool treatment combined with our unique weave bring this long time favorite merino blend to the next level.